Cancellation of Removal is a form of defensive immigration relief, that is available to someone once he or she is placed in removal proceedings. This form of immigration relief cannot be awarded more than once, even if the applicant desires to seek cancellation of removal for a basis that is completely different from another occasion. There are different limitations and requirements for persons that are not Lawful Permanent Residents, and persons that are Lawful Permanent Residents (LPRs), that are set forth in the Immigration and Nationality Act (INA), which are addressed in very brief details below. The granting of cancellation of removal immigration cases is extremely rare, because the standard of "exceptional and unusual hardship" is very high and often difficult to prove to the discretion of the assigned Immigration Judge. This type of relief should only be pursued if the individual is already facing removal proceedings; the non-citizen should not purposely place him or herself into removal proceedings to try to obtain cancellation of removal, even if the individual has a very compelling case. The Immigration Judge has wide discretion to decide whether the non-citizen possesses good moral character, and if an exceptional and extremely unusual hardship actually exists, so there is a risk of losing (even with a compelling case). Also, Immigration Courts are limited by the United States Congress in the number of cancellations of removal they are supposed to grant each year, and therefore they try to issue this relief very sparingly. If the individual does not qualify for cancellation of removal (because of criminal or antiterrorism grounds, the individual is crewman who entered after June 30, 1964, in individual is considered a certain J visa exchange visitors that did not satisfy their 2 year requirement, the individual previously used cancellation of removal, or does not meet other requirements outlined above) the Immigration Judge has absolutely no discretion to approve cancellation of removal for humanitarian or other compelling reasons. INA section 212(c) is another type of relief that gives Lawful Permanent Residents a potential opportunity to avoid deportation despite the fact that they are inadmissible or deportable. This is a very convoluted, complex area of immigration law with many potential pitfalls and hazards, for which an immigration expert is mandatory. 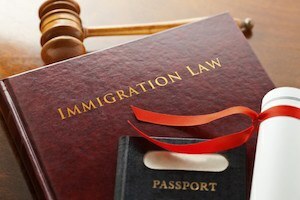 The reason a non-citizen pursues INA section 212(c) relief is because it gives the Immigration Judge the discretion to waive all grounds of inadmissibility if the non-citizen qualifies under the provisions of INA section 212(c), and also the burden is often easier to meet than the standard of "extreme hardship" under INA section 212(h). INA section 212(c)'s general requirements are that the inadmissibility or deportation is based on one or more convictions from before April 1, 1997, the individual did not receive cancellation of removal before, and the non-citizen must have 7 years of lawful unrelinquished domicile. The above information about cancellation of removal is subject to change at any time, and is only intended to provide general information. The information that you are reading in no way is a substitute for the need to retain a zealous, experienced, and capable immigration lawyer to give you great advice and to fully and fairly defend your immigration case. There is also the existence of policy, statutory law, and case law that may modify the interpretation of the requirements for cancellation of removal. Also, there may be "stop clock" provisions based upon certain criminal convictions of the individual that may impact an Immigration Judge's calculation of how long the non-citizen was deemed to be physically present in the United States . There may be other forms of immigration relief available to the individual, depending upon the circumstances and prior history of the individual, who does not qualify for cancellation of removal, which may (or may not) include the following: asylum, CAT (Convention Against Torture), withholding or removal, 212(h) waiver, I-192, I-212, 601, 601A, U visa, S visa, T visa, CSPA, are a few of the other options that may (or may not) apply to your situation. An individual with immigration issues involving deportation and inadmissibility issues should always seek legal advice and representation from an outstanding immigration lawyer, such as the lawyers at Hilf & Hilf, PLC.